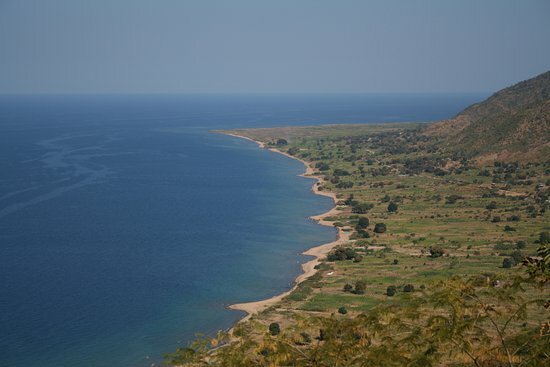 Also known as Lake Nyasa, Lake Malawi forms Malawi’s boundary with Mozambique and Tanzania. It is the third largest East Rift Valley lakes of East Africa. Measuring 560-580km long and 75km wide, Lake Malawi features a depression in the north central part, marking the deepest point at 706m and 400m at the shallowest point. It has 14 inlets with the Ruhuru River being the largest, and has an outlet in the Shire River, a tributary to the Zambezi River. At the Southern end of the lake is Lake Malawi National Park, which is home to number of animals. It is also home to a large baobab tree, believed to be 800 years old, where Dr. David Livingstone gave sermons and talk with missionaries. There are also graves of missionaries in the park. The UNESCO inscribed the Lake Malawi National Park into the World Heritage site in 1984. It acknowledged its natural beauty and outstanding example of biological evolution, as well as, its importance of the biodiversity conservation. One can access the Lake along its shore and take part in various activities including kayaking, scuba diving, snorkelling and water skiing. Cruises all the way to the Shire River is also possible. Along the shores are also a number of game lodges for visitors to spend their visit. Other places to find accommodation include Senga Bay, Dwanga, Nkhata Bay and Karonga, which is one important archaeological centres in Malawi.